PK-12 education is funded as a social service, yet we’re expected to produce Cadillac-like results. Think about that for a moment. When a primary breadwinner loses his/her job in the United States, unemployment is a benefit intended to assist, but not fully replace, the financial needs of the household. Social security was never intended to serve as an individual’s sole retirement. City parks are available for families without their own green space to enjoy. All of these social services were created to supplement, not supplant. It should not be a surprise state departments of education, school boards and local administrative cabinets frequently add to the list of school initiatives in order to meet the public’s growing expectations. Yet, time and financial resources often remain stagnant. As an exercise, write down the list of initiatives and programs started in your local school building or district during the past five years. Next, write down a list of initiatives and programs discontinued during the past five years due to careful evaluation.² Which list was longer? Odds are the tally of new initiatives and programs is at least double the length when compared to the discontinued list. The number of initiatives continues to grow and as the aforementioned research synthesis describes, more effective professional learning requires a commitment over multiple days. Where will schools find the time? Why does it seem like schools are always starting something new? …what are some next possible steps? 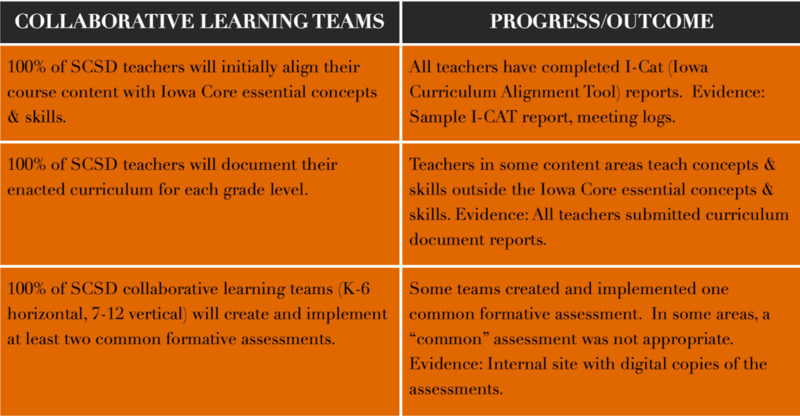 Rather than thinking only about the new initiatives to start for the upcoming semester or school year, I would like to encourage school leaders to consider a framework based upon the Iowa Professional Development Model and some of Doug Reeves’ work. Here are the steps, followed by a more detailed description of each one. Establish a professional development leadership team. Commit to monitoring no more than six initiatives, at least annually. Step 1: Establish a professional development leadership team. To engage in participative decision making – a democratic decision making process for keeping teachers involved and informed. To help principals sustain a focus on instruction and keep professional development functions going. To distribute leadership and responsibility up and down the organization. This team should involve teachers and administrators. 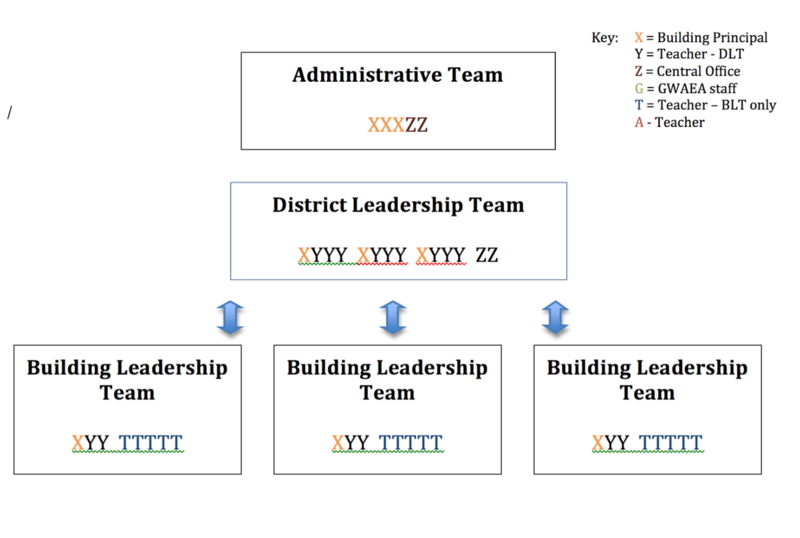 When leadership teams already exit, I have found it helpful to create a visual describing how various teams or committees across the district should interact and be related to each other. Our “district leadership team” serves as our primary professional development leadership team. This team is comprised of at least two teachers from each building as well as building and district administrators. The primary purpose of meeting four to six times per year for is to plan and monitor our district-wide professional learning activities. For the past several years, we’ve annually re-evaluated a multiple year outline of where we see ourselves going to keep our eyes and minds simultaneously focused on short and long-term outcomes. As the central office administrator overseeing this team, I often come to the meetings with professional learning outcomes and/or a skeleton written in pencil. I’ve found it is more efficient for teachers we’re pulling out of their classrooms to critique my plans than start from scratch during the meeting. The team is asked to evaluate and revise my initial plan against our collective vision and the practical needs of their classroom colleagues. Sometimes, the team rubber stamps my ideas, however we’ve also started over a time or two after throwing out my first draft entirely. I believe our teachers on this committee feel empowered as a result of this process. Our final plans are created and vetted by multiple brains and that’s a good thing. How often do these teams meet and for what purpose? What influence do these teams have on the planning and monitoring or professional learning activities? Has this team ever conducted an initiative inventory and audit? This step in the framework is important to get right. A group of administrators lists the initiatives started during the past five years. Ask a group of teachers (on the PD leadership team or a focus group) to list the initiatives started during the past five years. Compare lists for the purpose of agreeing on a common initiative inventory. The first two components of this step can be completed synchronously or asynchronously, however I believe it is important individual teachers and administrators create their lists separately, so that an honest assessment takes place. In my experience, administrators tend to create shorter lists than teachers. Particularly in schools with frequent or recent staff and/or administrator turnover, step three can be an interesting conversation, because it can help teachers and administrators clarify what they both agree are expectations at the moment. That is, until the next step of the process! Now that the professional development leadership team has an agreed upon list of the initiatives started during the past five years, it is time to narrow the list to a more manageable list of six or fewer priorities (Reeves). At this point in the process, the team may need some additional information about each initiative such as how it should be presented to the staff and how it should be monitored over time. This may significantly differ from previous practice due to limited resource constraints! List the number of hours of teacher professional learning time allocated for theory, demonstration, practice and collaboration (Iowa Professional Development Model). Identify monitoring criteria, a.k.a. evidence of successful goal completion. Consider the number of hours needed to implement the goal. The final part of this step is for teachers and administrators to create a prioritized list of initiatives based on 4 & 5. It is important to point out administrators should have the final authority to utilize the prioritized lists to narrow down a final tally of no more than six (6) initiatives. This final “plan on page” must have the stamp of approval from the appropriate personnel who delegate limited financial and time resources throughout the building or district. One of the best ways I can think of to promote transparency and build trust in a school is via publicly monitoring (and following through with) a small number of building or district priorities. Some initiatives may take multiple years. What does the administration expect of its staff during the year? Communicate it! Check up on it! Celebrate it! The purpose of this initiative management framework is to help schools consider one way to clearly communicate and support their most important priorities. The steps are relatively straight forward. I’d love to receive your feedback if you use all or part of it in your local context. What are the biggest barriers you see in implementing this framework? If an outsider walked into your school/district today, how confident are you teachers would be able to recite the goals/priorities for the year? ¹I acknowledge this framework is not something entirely new or original. 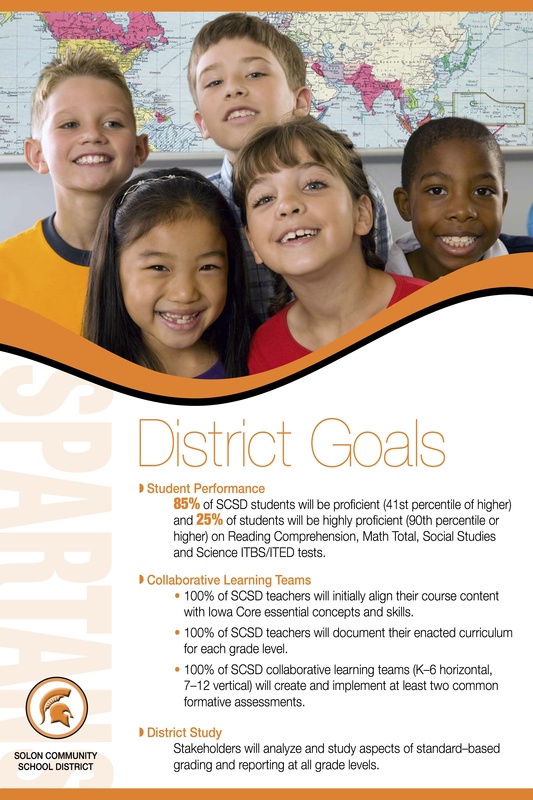 My hope is that at least one school or district will consider the ideas presented in this framework for the purpose of reducing the number of concurrent initiatives/programs. I strongly believe appropriate and meaningful teacher involvement throughout the process is essential to understanding all perspectives within an educational system. This entry was tagged professional development. Bookmark the permalink. Dude. This is a brilliant bit. I cringed when I saw the quotes about the complete lack of impact on student achievement for programs where teachers got less than 14 hours of training. That’s pretty much ALL of the programs that I am a part of. Hope you are well and happy!